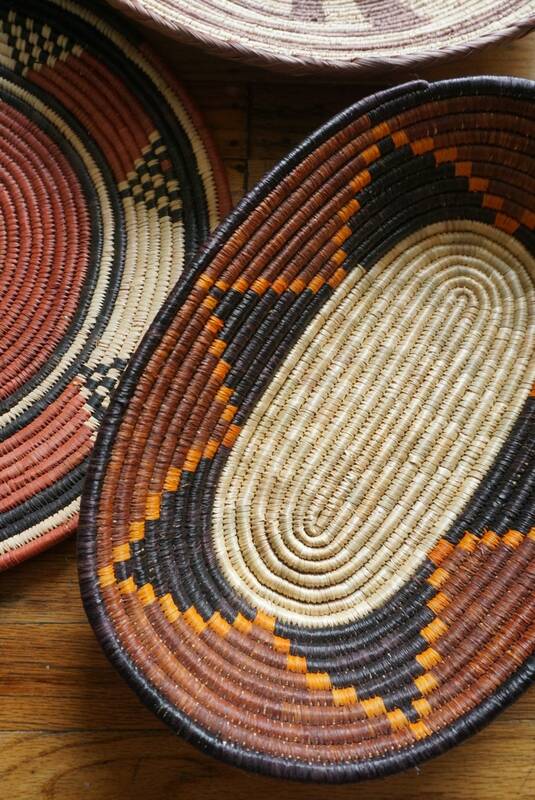 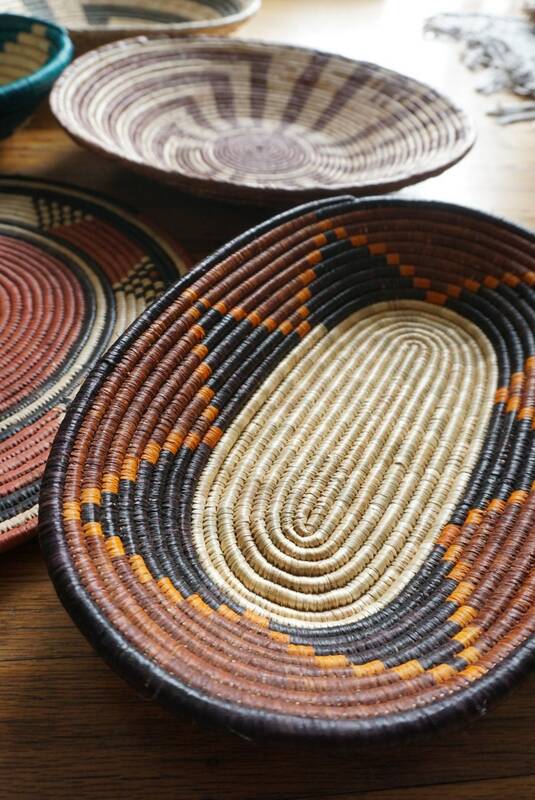 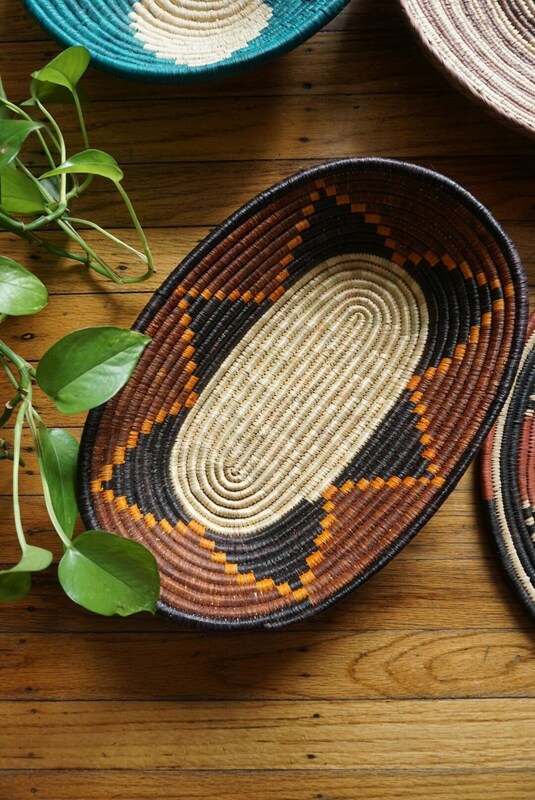 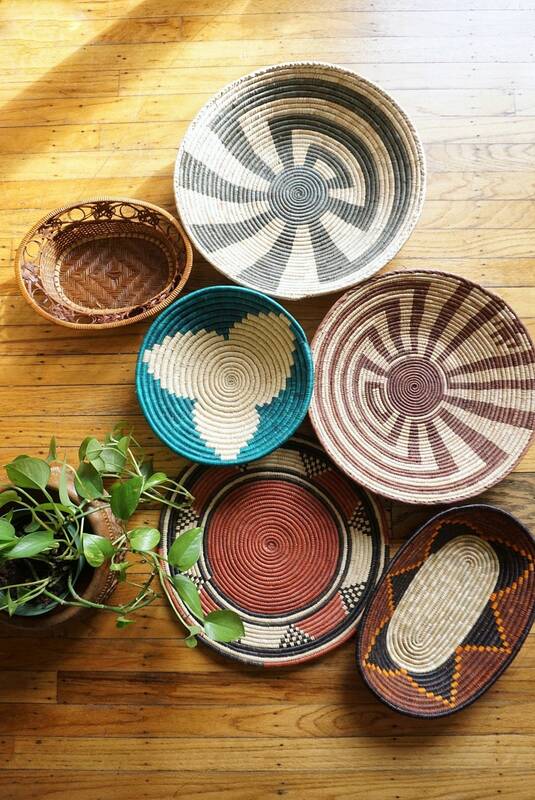 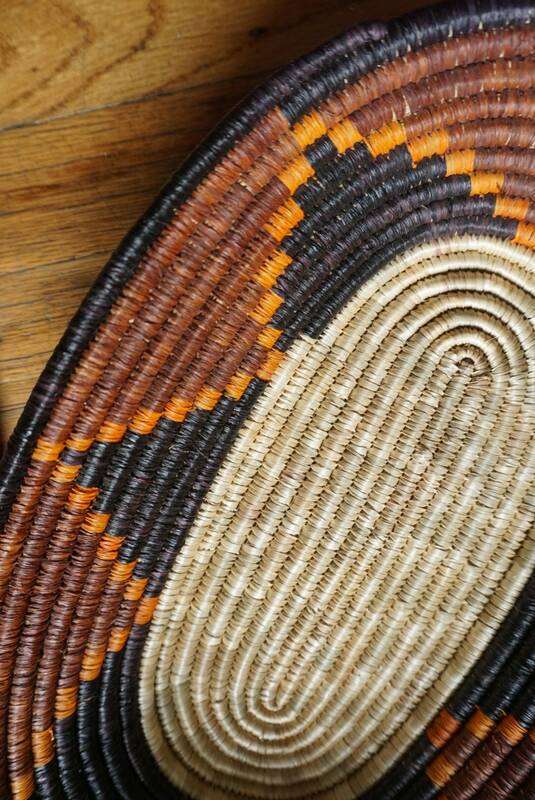 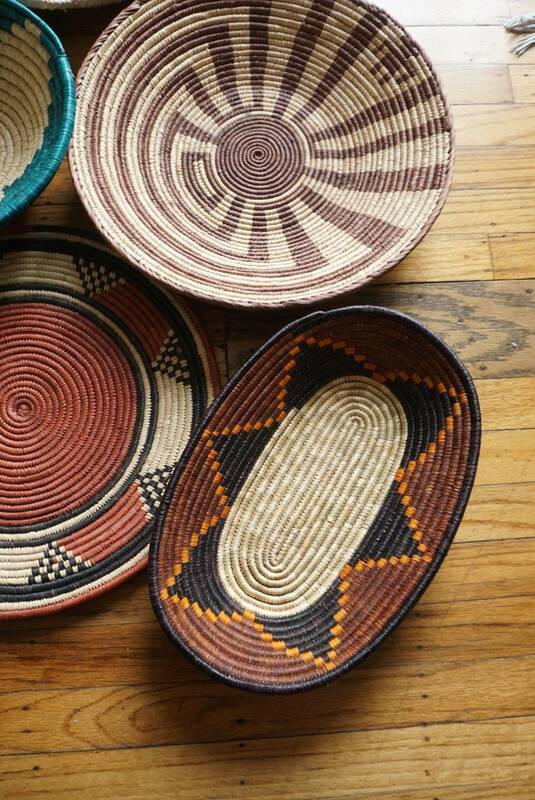 Beautifully handwoven basket with a mix of black, orange, brown, and natural beige colors. 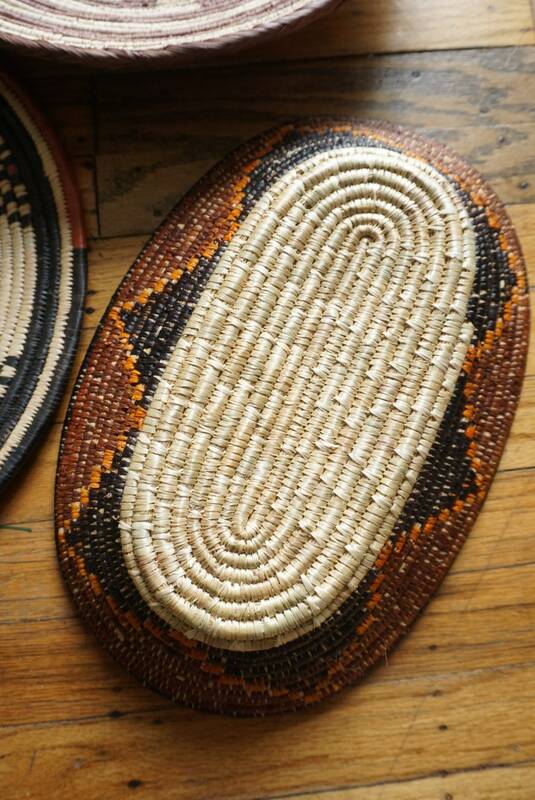 Made of natural grass/straw and is tightly coiled. 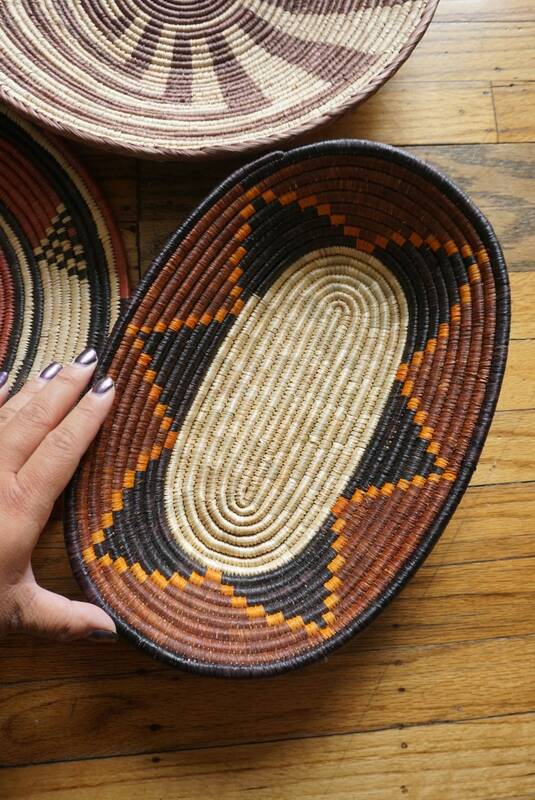 Oval in shape and deep, perfect as a basket, tray, or catch-all.